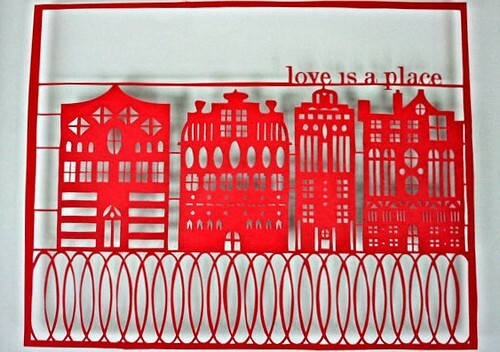 A friend sent me the link to Ali Harrison's frameable paper cuttings as she thought they were especially nice. I agreed the moment I visited the Toronto-based artist's Light and Paper shop... I mean, who doesn't want to Up the Happy?! Many of Ali's designs are lighthearted and she often uses brightly colored paper to enhance the fun vibe. 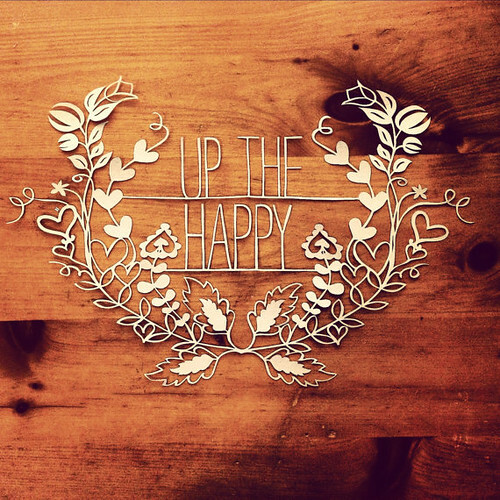 Ali began creating paper cuttings and hanging lights as decorations for her apartment and as gifts for friends and family... they were met with such a positive response, she soon opened an Etsy shop. Have you always enjoyed being artistic? I have always liked being creative and I really like working with my hands. I never considered myself artistic in a traditional sense while I was growing up, but now creating art is my favourite thing to do. Did you have any formal art training or are you self-taught? I have no formal training in paper craft or any art - 100% self/internet taught! 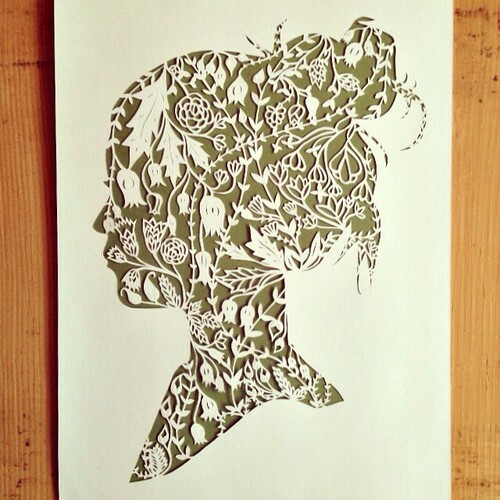 Have you dabbled in other paper arts? I have experimented with different methods, but they mostly centre around the papercut pieces that I produce. I noticed several of your pieces have to do with Amsterdam... is it a special place for you? Yes! My family is Dutch, and Amsterdam is my favourite city in the world. 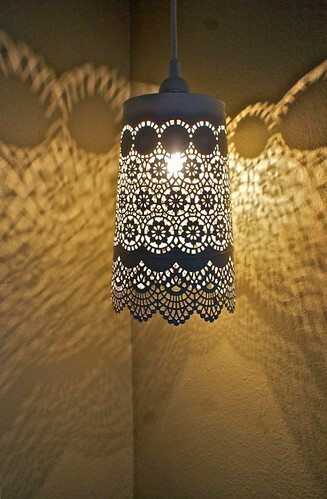 I read that the lace-like lamps you make are actually upcycled metal vases, but at first glance I thought they must be laser cut paper. Have you ever thought of using paper to make lamps? 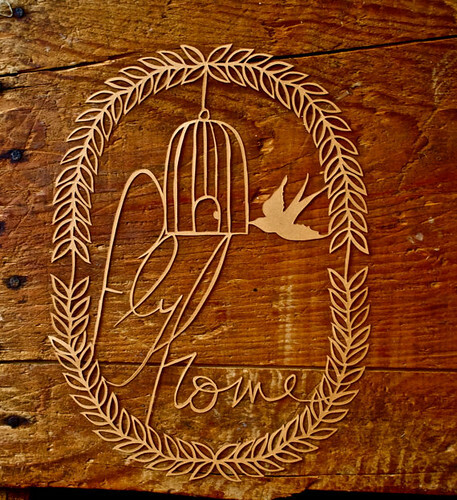 Not such intricate designs as this one if you don't have access to a laser cutter, but I bet you could create some really pretty shades. I have thought about it and am planning to experiment with this in the future, but I'm a bit nervous about starting a fire! 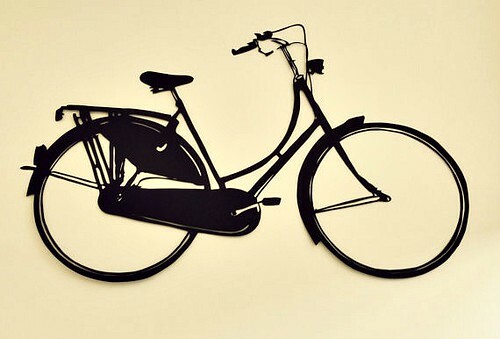 Perhaps CFL or LED bulbs would be fine, but either way - metal or paper - the shadows cast are lovely! 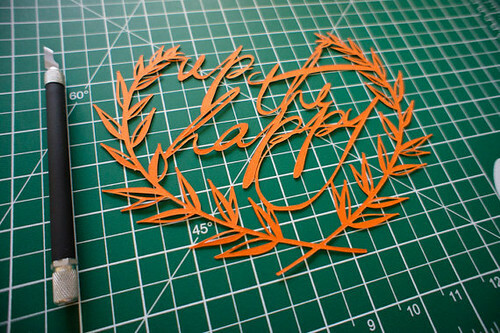 Ali Harrison's Light and Paper website/blog and Etsy shop. so pretty. 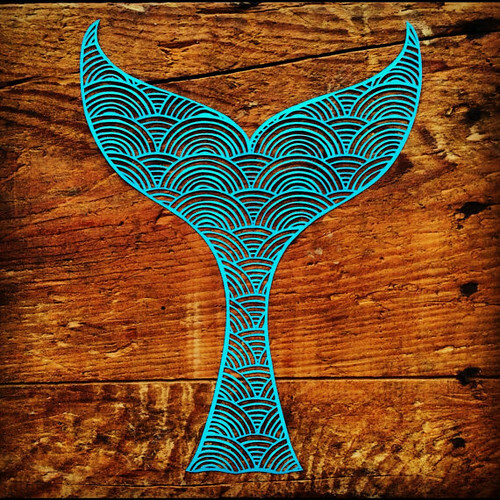 love the mermaid tail. Ali, your work is amazing! So beautiful and inspiring. Beautiful work! Thanks for sharing, Ann! The mermaid's tail is gorgeous! This post makes me want to get my exacto knife and start crafting. Me too, Lea - I know just what you mean about the smile-inducing effect. Thanks for commenting. Do you sell the mermaids tail? Unknown, yes, Ali does! Click on the link to her Etsy shop and you will find it listed for sale there.